You will be learning here about Deep cleaning teeth, how much its cost? Know about scaling and planing. And Importantly, What are the advantages of deep cleaning of teeth. The best way to treat patients having chronic gums is deep cleaning teeth. In serious cases, patients need expensive treatment. 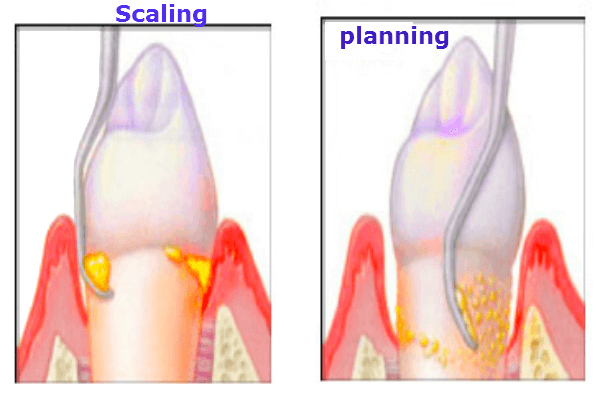 Scaling and root planning are used to remove bacteria and plaque developed from remaining food particles in the mouth. These treatments can reduce chances of bone loss and the tooth gets longer life. Teeth are the major part of the mouth and they should be cleaned on the regular basis, the routine cleaning of the teeth prevents the plaque from depositing at the teeth. Regular cleaning of the teeth may involve the brushing of the teeth, flossing of the teeth, scrubbing of the teeth. The plaque is the yellowish material that deposit on the teeth and either removes by simple cleaning or requires deep cleaning teeth, if the cleaning is not done regularly then the plaque begins to deposit on the gum line of the teeth and fill the pockets of the teeth with the plaque. The plaque contains the bacteria in it which cause the infection of the gums and begins to irritate the roots. This causes the infection of the gums, called gingivitis. This type of infection can’t be cured by the simple cleaning of the teeth they require deep cleaning. When the X- ray determines bone loss and gum pockets have exceeded 4 millimeters deep that there is a need for intensive cleaning. The treatment is usually limited to the affected area only it does not involve the whole mouth. Dentists always suggest treating sick areas only. Brushing and flossing on a regular basis can prevent chances for development of bacteria. This can prevent gum diseases. For gum diseases, intensive cleaning is required this can improve the bottom line. Proper hygiene should be followed by the patient and the dentist during this process. A dental service that cleans the teeth at standard level costs less than $100. The dentists have revealed that the process that cleans the teeth does not cause any harm to the health. But if it is unnecessary it can break the gums area. Standard Cost: Dental hygienist take $75-$200, there are some factors which directly affect the cost of teeth cleaning, like local rates. For routine cleaning, it costs around $127. Cost with Additional Services: Usually deep cleaning of teeth also include check up by the dentist and dental X-rays. So!! the service cost included these services can cost you $100-$300 (Depends on your local areas rates) and what type of X-rays your treatment needs. Cost with Dental Insurance: If already you signed up for dental insurance, which will cover total the price or cost of deep teeth cleaning once or twice a year. And some insurance plans includes the low-cost treatment of extensive teeth cleaning. Quadrants Cost: Scaling and planing is done by parts which are called quadrants and we call them upper left quadrant, upper right quadrant, lower left quadrant and lower right quadrant. For one quadrant, it costs $100-$450, with the discount it may cost you $500-$4000 for all 4 quadrants (full mouth) or may be which will depend on how much work have to be done. This treatment involves the removal of the plaque from the teeth deeply. It includes the number of steps of its procedure. The first step is to remove the plaque from the teeth to continue the processes of the scaling and planning. One method to clean the teeth is scaling. When plaque and tartar forms on the tooth near the gums they can cause many gum diseases. In six months once a person must have scaling in order to have healthy gums. The saliva also gets thicker with age. So as a person grows, more he would need scaling. 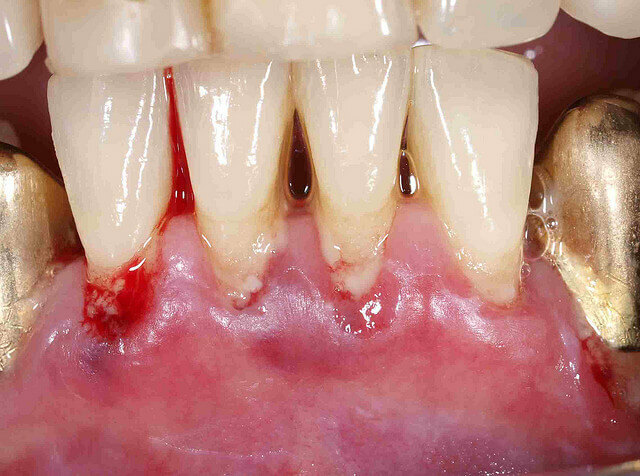 The yellow hard deposits appear around the gums originating from saliva and develop on the lower side of upper teeth. That is the most sensitive area of the mouth. Plaque builds tartar further in the mouth. Some drugs and the state of pregnancy also give rise to tartar development. The only way to get rid of tartar is scaling. Gum problems originate if one does not go for scaling on a regular basis. The tartar is formed and it causes gums receding. The bone gets loose and the tooth may fall out. This will further give rise to diseases such as gingivitis; bad breath further if the infection spreads it can harm the heart and other body organs. There are no side effects resulting from scaling. However, the person can feel increased sensitivity for hotness and coldness. The enamel of the tooth is damaged if it is cleaned in a harsh manner. Scaling directly does not cause any harm to the enamel. The dentist checks the gingival pockets in the mouth is space is large than normal, he suggests scaling. The plaque is a harder substance and it can be yellow or black. Tartar usually develops under the gums line. Scaling is used for removing plaque and tartar from the mouth. These are harmful substances and can cause severe damage to the gums. After the process of scaling, some steps should be taken to ensure that there is no damage to the tissue had occurred. For the scaling, the organic mixture is used named as gluconate solution which has a high sensitivity issue with the roots of the teeth. When the mouth is washed with this mixture then the irritation in the tissue of the mouth remains for the many hours. European research describes that there is a connection between the high blood pressure and the use of mouth rinse. That’s why in the United States the antibiotics are used after the deep cleaning teeth. These antibiotics are placed directly on the affected tissue. These antibiotics start to melt on that place and relief the tissues of the infected part. 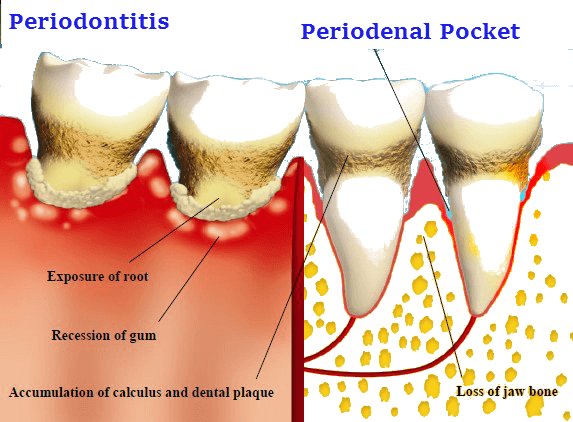 It kills the bacteria which is infecting the gum of the teeth and prevents the further growth of the bacteria. 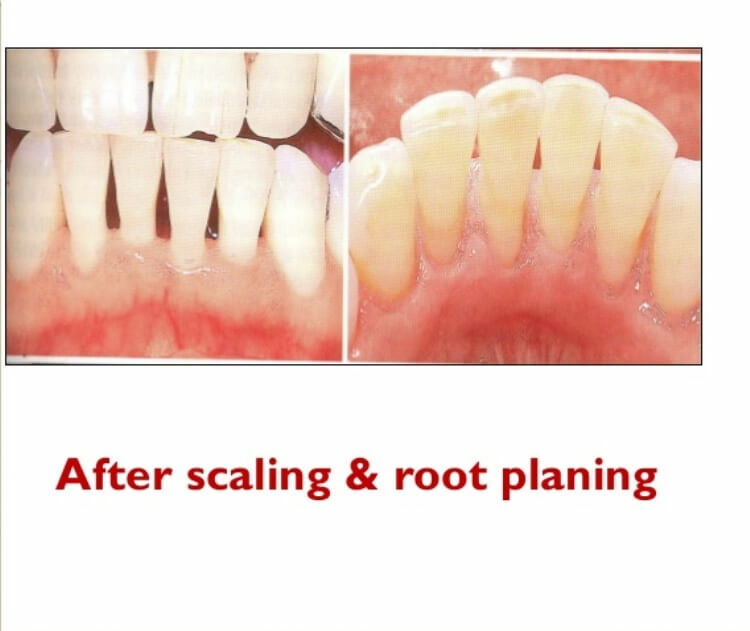 If the condition of the tissue is serve then the scaling and root planning is the initial stage of the deep cleaning. After that, they need the extra surgical steps for the relief. The deep cleaning teeth prevent the bacteria from developing in the mouth. It also removes the tiny crevices. It removes the plaque from the pockets and prevents the bacteria from causing other infection. A polish is also used for adherence and shine and gives a glossy appearance. For maintaining oral health, scaling is extremely important.